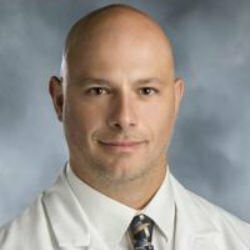 The American Health Council is proud to select Dr. Joseph Ciacci, Faculty & Radiologist at Beaumont Health in Royal Oak, Michigan, to their Physician Board. With 13 years in the healthcare industry, including 6 in his current role, Dr. Ciacci brings to the AHC honed skills and expertise in Interventional and Diagnostic Radiology. Graduating from medical school with his D.O. from Kansas City University of Medicine and Biosciences in 1998, Dr. Ciacci went on to intern (1999) and earn his Residency (2003) at St. Barnabas Hospital, as well as earning a Fellowship at Mount Sinai School of Medicine (2004). He is Board Certified in Radiology and CAQ in Vascular & Interventional Radiology by the American Board of Osteopathic Radiology. Dr. Ciacci became involved in his flourishing career due to inspiration from his family, who are also healthcare professionals. He cites his success to his upbringing, his compassionate spirit, and commitment to excellence in the field. At Beaumont Health, Dr. Ciacci is responsible for inpatient/outpatient consultations, pre-and post-procedure care, as well as performing the full spectrum of Interventional Radiology procedures. Dr. Ciacci is an Assistant Professor of Radiology at Oakland University William Beaumont School of Medicine. He currently serves as Program Director of the Interventional Radiology Fellowship & Residency Programs at Beaumont Health. He has previously served as Program Director of the Interventional Radiology Fellowship from 2009-2011 and Medical Director of the Interventional Radiology Clinic at Wake Forest University from 2008-2011. Dr. Ciacci shares professional affiliations with the American Osteopathic Association (AOA), the Society of Interventional Radiology (SIR), and the American Osteopathic College of Radiology. He has been awarded with “Best Doctor in America” (2011-2014), a “Top Doctor” in US News and World Report (2011 and 2013), and the Teaching Excellence Award presented by Dr. James L. Quinn III (2007). Within the next 5 years, Dr. Ciacci would like to continue contributing to reforms in healthcare, encouraging physicians to become leaders in their respective field, while promoting the Interventional Radiology subspecialty. He hopes to collaborate with other physicians as well. Dr. Ciacci is proud of his multiple peer review publications, numerous presentations, and being a featured guest speaker at MSU. Considered the largest health care system in the state of Michigan, Beaumont Health provide patients with compassionate, extraordinary care, no matter where they live in Southeast Michigan. The health system is composed of eight hospitals, 168 health centers, nearly 5,000 physicians and 35,000 employees. As a not-for-profit health system, the following services are available: home care and hospice, senior living and nursing homes, imaging centers, pharmacies, rehabilitation centers, emergency, and urgent care and much more.